Our Director of Marketing Claire Davies (FCIM) has delivered two masterclasses on marketing and finance as part of the Young Chamber Programme. Here is the article from the West Cheshire and North Wales Chamber of Commerce website. Local businesses learnt about the West Cheshire & North Wales Chamber of Commerce’s exciting Young Chamber programme at an event on 19th March as part of Denbighshire County Council’s March for Business. The Young Chamber programme is a key element of the Chamber’s Vision 2021, which aims to bridge the gap between education and business by bringing firms closer to their local schools and colleges. Sponsors of the programme can help build the skills and experience of students in their area through a range of events including career talks, mock interview days and enterprise projects. The focus is to help prepare students as best as possible when the leave education and start their careers. Dan Ward, Membership Executive at the Chamber, opened proceedings with an overview of the programme, the reasons why it was established and some of the exciting events that are coming up. The Young Chamber Enterprise Projects are one way that businesses can get involved with the programme and guests heard from Claire Davies, Head of Marketing at Umbrella Marketing Team, and Sarah Bailey, Relationship Manager at NatWest, who have delivered masterclasses on marketing and finance as part of the projects to students from two separate Young Chamber schools. Claire has thoroughly enjoyed her involvement with Young Chamber to date saying “As a supporter of the initiative, I am a great believer in you don’t give to receive, however, the feedback and the pupil engagement received from the workshop Umbrella Marketing and NatWest jointly delivered to schools has personally been humbling and very rewarding”. Jennifer Kennedy, Senior Membership Executive, then spoke about the benefits that Young Chamber brings to Sponsors and participating schools and colleges. Sponsors are able to give a little back to their local community and help make a difference to the next generation of business people, as well as helping towards Corporate Social Responsibility policy requirements. Schools and colleges are able to offer their students an insight into their local business environment and help them develop their employability skills. Guests then heard from Phill Jones, Joint Managing Director (Operations) at Insignia Resourcing, who talked about his experience with the programme which has included talks on Interview Skills and Tips, CV Writing, General Preparation and participating in Mock Interviews. “There has never been a greater need for the business community to embrace and contribute to our present and future students across our area’s schools and colleges. Being able to help and support the students to take that first step in to employment gives a lot of satisfaction to know you have helped in some way. 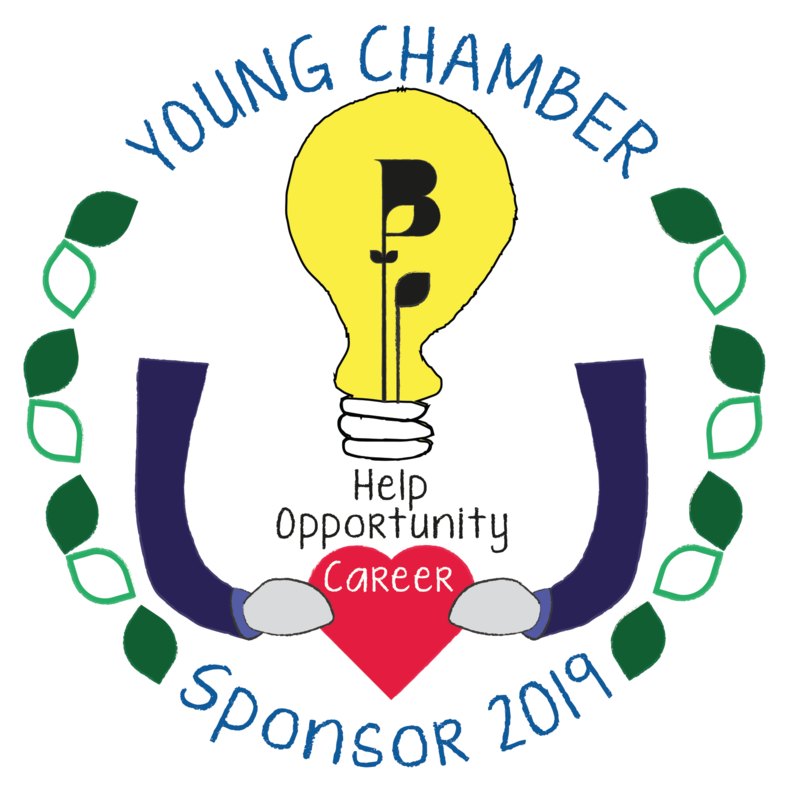 I would urge those who are thinking of contributing to the Young Chamber programme to get in touch, join the journey and be part of something great” said Phill. Jennifer Kennedy, Senior Membership Executive at the Chamber, was delighted with the success of the event saying “It was great to see the room full of businesses looking to engage with schools in the area and help support their students’ development. Young Chamber has so many benefits for students and, as we’ve heard today, businesses get a lot out of the programme as well. Thank you to today’s speakers who spoke excellently about their experiences with the initiative”. Find out how your business can help inspire the next generation by clicking here.